Chief Constable George Hamilton’s tweet just after noon on Monday January 28th was, to say the least, something of a surprise. At 51, it announced his retirement plans by the end of June this year; five years after his appointment to the most-senior rank in the PSNI. Just days earlier, at a meeting on the 24th, the Policing Board had unanimously agreed to offer him a three-year extension to his contract. Now, that Board is having to consider the process to appoint the next Chief Constable, after Flanagan, Orde, Baggott and Hamilton, the fifth in the post-Good Friday Agreement and post-Patten era. By the summer, we will see sweeping changes across the ‘new policing’ frame, not just a new Chief Constable, but a new Police Ombudsman and a new chair of the Policing Board. Is there a better time to take stock? The Patten Report of 1999 with its pages of reforms has not achieved the depoliticisation of policing and, almost two decades on, the ‘new beginning’ remains a work in slow progress. A reboot is needed. You cannot have new policing alongside MI5. One contradicts the other. Nor can you have new policing with an unresolved past. Politics is still a part of policing. Just look at the shaping of the past process, both in its design and intention. Can there be a new beginning without firstly addressing the issue of amnesty? On a separate issue, did Patten predict a dissident threat now entering into its third decade? 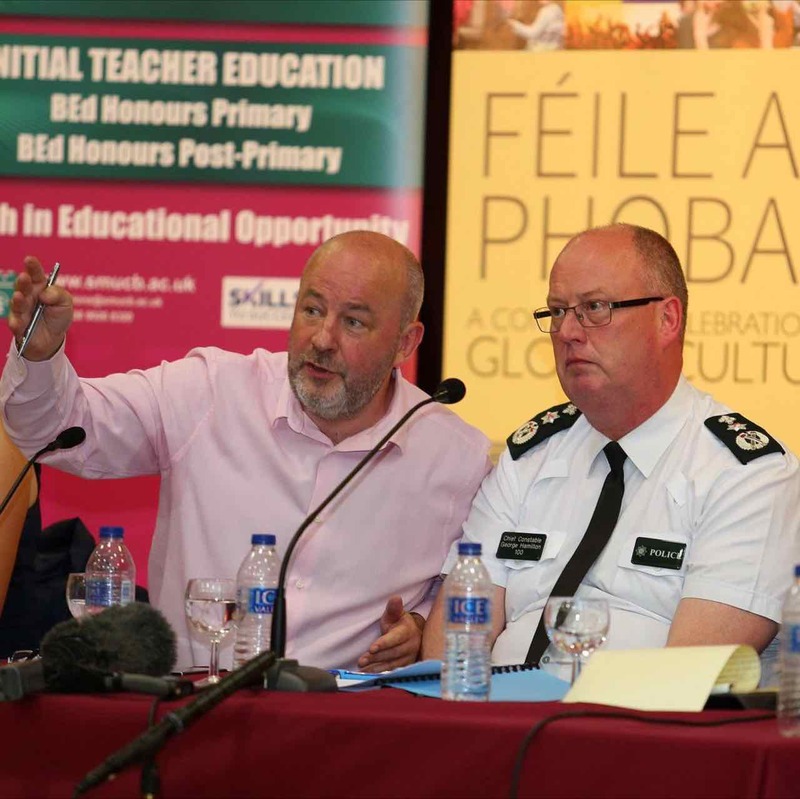 “Patten envisaged an architecture within which new policing would emerge and be sustained,” Dr Jonny Byrne of Ulster University told this website. If the nationalist/republican community applied its mind and energy there would be a much better chance of bringing that dissident activity to an end through argument and persuasion rather than intelligence and security. On this issue, however, there has been a lack of leadership. It is a blind spot. Hamiton’s retirement decision should not now be reduced to a discussion on the choice of the next Chief Constable but, more importantly, what is next? In a recent statement, the Police Federation highlighted budget pressures, an unprecedented focus on legacy matters, Brexit and that continuing ‘severe’ threat posed by dissident republicans. Legacy is the poison in both the political and the policing systems. Many years ago, Hugh Orde recognised this when he spoke of the need to close the book. Hamilton did likewise when, in his first major speech as Chief Constable in September 2014, he highlighted the dangers of ignoring, hesitating and procrastinating on the past and spoke also of the need for challenging conversations, including the one initiated in that period by Attorney General John Larkin on drawing a line under conflict-era investigations. A new Chief Constable stuck in the legacy war will mean a continuation of the battles over the past and yet more damage to that project we have been calling new policing for the best part of twenty years. Hamilton’s decision has given this project another chance to refocus. On his retirement tweet, one of his colleagues told me: “Nobody saw it coming”, but within that tweet, he left space until June for people to think, not just about the choice of the next Chief Constable, but the big conversations that need to happen within the nationalist community on the dissident threat and across the communities on legacy. Politics has failed policing. In this Brexit moment, is anyone listening?